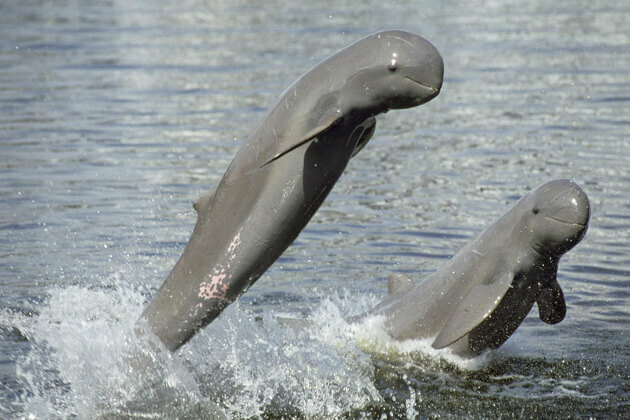 A half of a month for visiting the famous tourist spots in Cambodia tour package is very comfortable to enjoy. 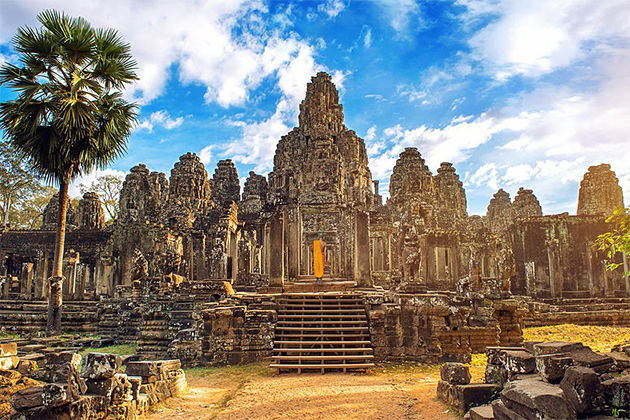 You will not only relax when visiting the famous scenic spots but also learn more about the culture and people of Cambodia. You will visit from ancient temples to pristine beaches. The trip will take you from surprise to surprise by the variety of places you visit. 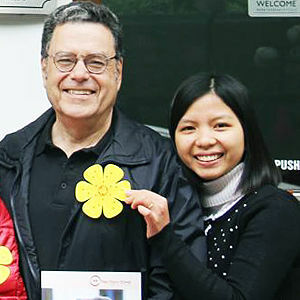 Transfer to your hotel after being greeted at the airport for a short rest before your excursion. Phnom Penh is the capital of Cambodia which still maintains houses ancient Khmer architecture and French colonial architecture. The villas along the boulevard create a romantic and ancient spectacle. In the recent years, Cambodian politics have fueled the country’s economic development. Hotels, restaurants, bars, travel services spring up and grow rapidly. Visit the Royal Palace compound build in 1866 by the Predecessors of King Norodom, is the most conspicuous feature and also one of the impressive colorful Khmer-style Palaces. 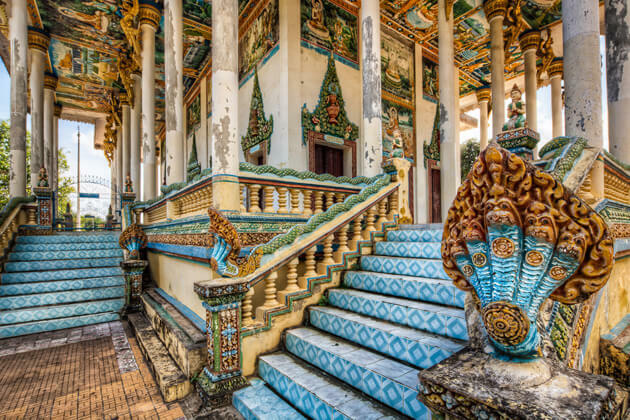 After visiting the Royal Palace, you will visit the Silver Pagoda, where many statues of Buddha decorated with diamonds, emeralds, gold, and silver are on display. The next site is the Independence Monument built in 1954 after Cambodia’s return from the French colony, continuing to visit the National Museum with Khmer architecture built in 1917 and containing more than 5000 Artworks made of sandstone, bronze, silver, bronze, wood and other things. We travel through the River Front park which has a spectacular scenery. 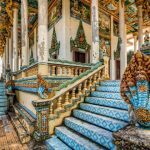 Your tour continues to explore the only hill in town with sacred sites called Wat Phnom Daun Penh – the pagoda built by Lady Daun Penh in 1372. 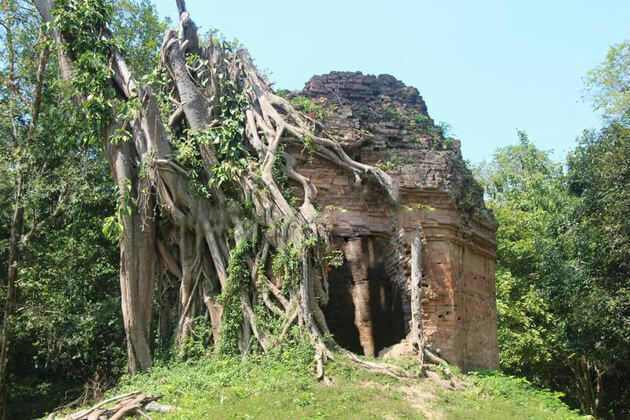 Legend tells after an extremely heavy flood, a Khmer woman named Daun Penh found a tree on the bank of the Mekong River with four statues of Buddha hidden inside, before visiting Phnom Penh at night along the banks of the Mekong. Overnight in Phnom Penh. 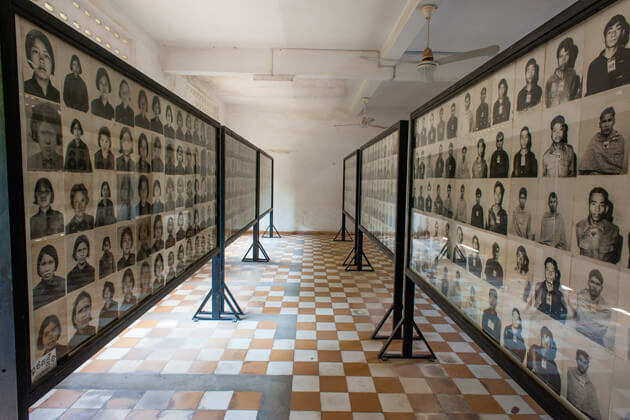 Today would be a touching day for you when you visit the Tuol Sleng Genocide Museum and the Death Field. 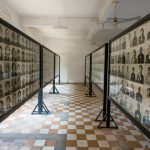 In these places, you will have the opportunity to learn about the dark past of the Cambodian people and the terrible rule of the Khmer Rouge. In the afternoon, visit Sovann Phum to understand more about traditional Khmer culture. 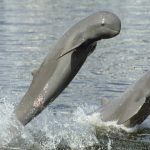 Travel a distance of 340km to the town of Kratie River, with its faded French architecture to admire rare pink Irrawaddy dolphins. Then walk to Phnom Sambok peak to visit the small temple and watch the Mekong sunset dreaming. Transfer from Kratie to Koh Rong Island by speedboat. Then take a short trip by bike to admire the village life of the people here. If you are lucky, you may have a chance to see one of the rare marine turtles on the west coast. 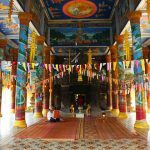 You will spend about 4 hours moving from Kratie to Kampong Cham, a legendary town filled with myths and legends. 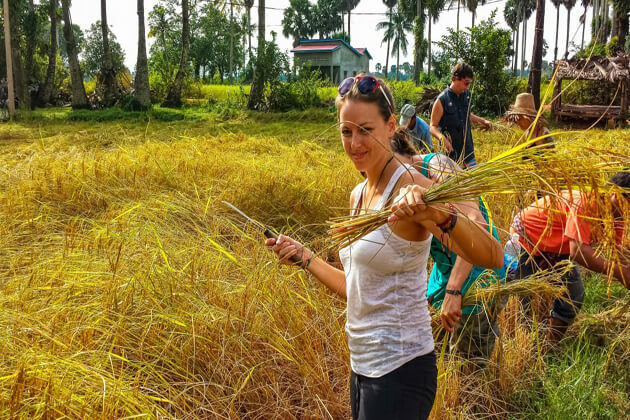 Drive to Kampong Cham, take a dip in the Cambodian countryside and go through a cashew nut plantation, paddy fields, and traditional villages, Kampong Cham town center, a former French business district on the banks of the Mekong River. 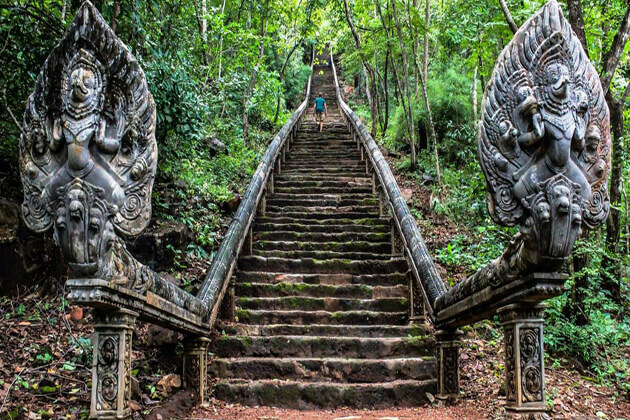 See 12th century Wat Nokor and take a short trip to the twin hills of Phnom Pros and Phnom Srey – which means hills for men and women. You will travel a distance of about 5 hours today, preparing for a good health. 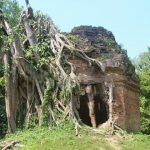 Visiting Kampong Thom – An ancient fortress of the Khmer Rouge. Then go to Siem Reap in the late afternoon. Early morning you will start witness sunrise over Angkor Wat temple and listening singing birds over the ancient land of Angkor area. You also can walk to nearby Pagoda and offering food to monks. After the monks finished breakfast you start to enjoy your breakfast box on the ground floor of the pagoda, jasmine tea will be served in the peaceful of the pagoda. You can spend time talking with the monks to understand more about the culture here. 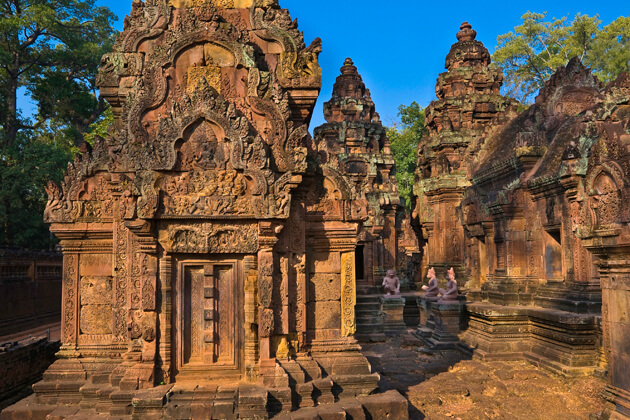 Banteay Srei, a popular tourist destination, is your next stop in your exploration. The unique architecture of this temple is its compactness and excellent details. 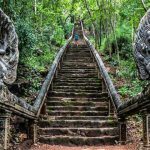 Then you will visit other unique places like Ta Prohm, Prasat Kravan, Srah Srang, and Banteay Kdei. 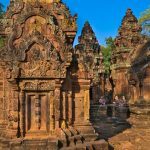 Admire Banteay Srey’s delicate pink sandstone temples, filled with elaborate, sophisticated and elaborate carvings that are characteristic of the classical Khmer art and are considered one of the best temples here. 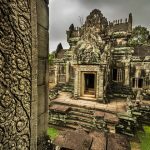 Then it’s off for a quick look at Banteay Samre, which is modeled on Angkor Wat, before heading to the Tonle Sap Lake for a cruise around the floating villages. 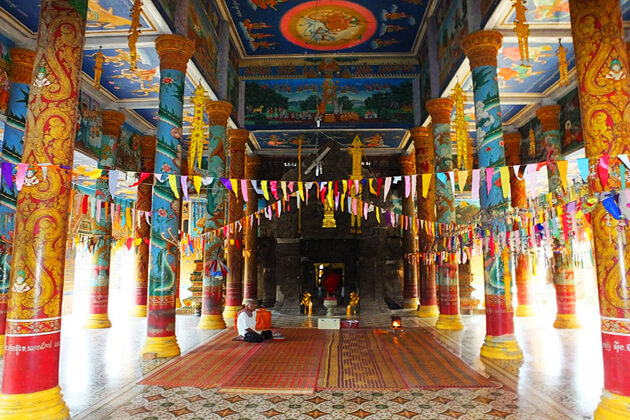 You will arrive at a Cambodian countryside village after an hour’s drive from Siem Reap. Then you visit a local non-profit organization where traditional manual weaving women work. After that, you continue to experience the daily life of the local people here. 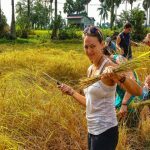 You will ride the ox cart, visit a local monastery, experience fishing, farming, and breeding. This will be a trip that makes you feel relaxed. After about 2 hours drive, you will come to the peaceful town of Battambang. There are unique buildings built by French colonists. Take a panoramic view of Battambang in Phnom Banan – a throne built in the 11th century with architecture similar to that of Angkor Wat. Then you can experience the excursion on bamboo boats – a unique means of locals here. 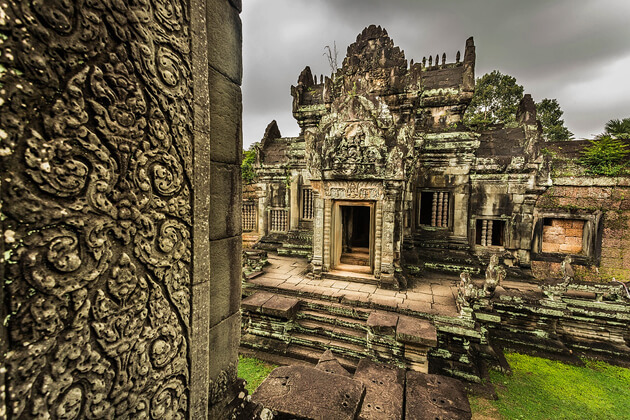 Spend a morning visiting Ek Phnom – a popular tourist and picnic spot built in the 11th century. The temple has a unique architecture and carved reliefs. Then, back to Siem Reap and overnight here. 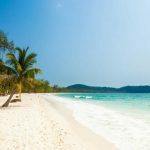 Fly to Sihanoukville – a true paradise in Cambodia, where you will be immersed in clear blue water, vast sky and white sand stretching endlessly. 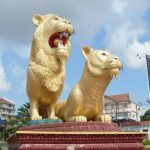 Sihanoukville is the famous coastal city of Cambodia. 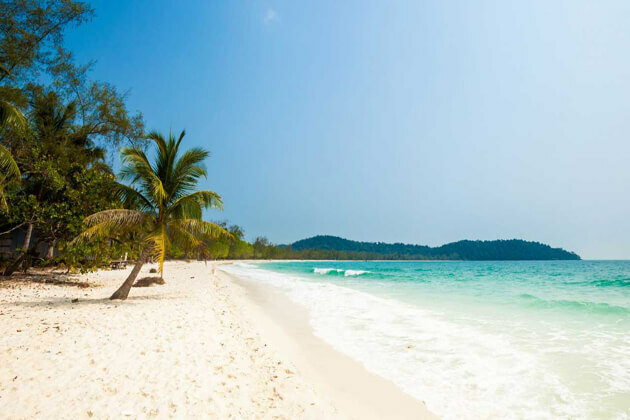 Coming to Sihanoukville and visiting the famous beaches here will bring a wonderful relaxing feeling for you. 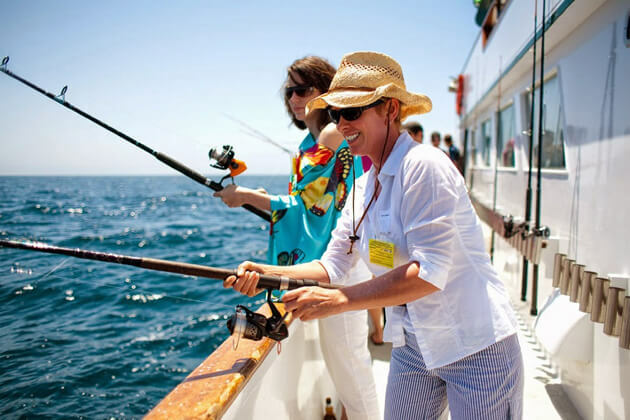 Bathe in the warm sunshine, soak up the clear waters and experience exciting marine activities. 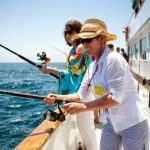 You can rent a boat to “escape” from the island, experience diving, swimming, and fishing. 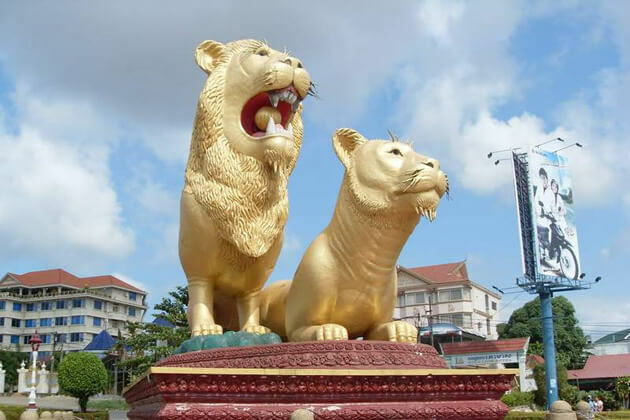 Continue exploring the famous tourist attractions and interesting activities in Sihanoukville. In the evening, experience Sihanoukville air at night. There are many restaurants, vibrant bars with diverse services. Walking around the shore and enjoying the barbecue at night will be a romantic experience. 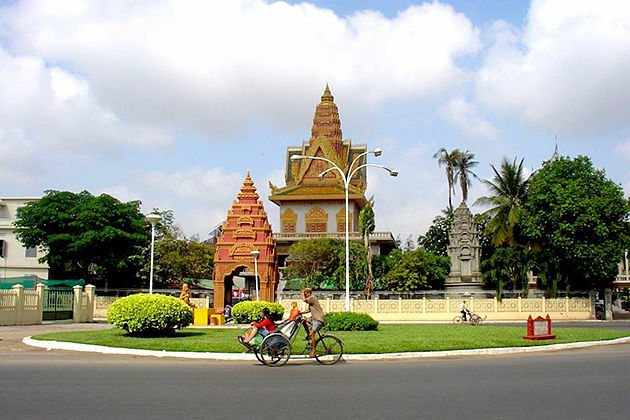 Return to Phnom Penh to prepare for your flight leaving Cambodia. 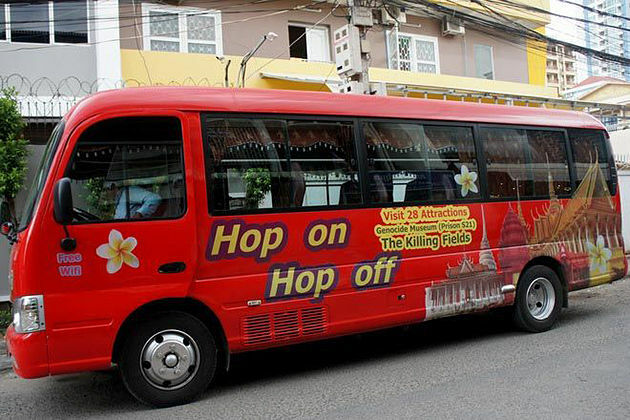 It takes about 4 hours from Sihanoukville to Phnom Penh. Thanks for your attention. Please check your email for more detail information about this tour.